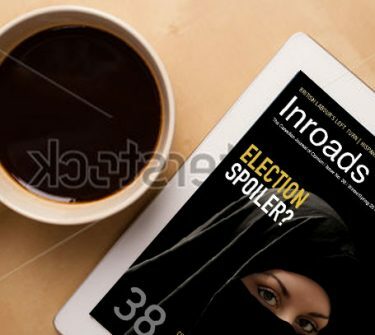 One morning in the third week of April, as this issue of Inroads was taking shape, I woke up, as I often do, to a CBC radio newscast. The top three items were allegations of irregularities in the Turkish constitutional referendum that had just taken place; Ontario’s nonresident speculation tax, about to be introduced; and a scene-setter for the first round of the French presidential election, scheduled for that Sunday. Despite our leisurely twice-a-year publication schedule, Inroads strives to be timely. As I listened to that newscast, I realized that with this issue we had succeeded to an uncommon degree. Being timely is always a virtue in journalism, but there are reasons for placing special emphasis on this virtue at this point in history. The rise of populist parties and movements, their challenge to established Western institutions and to classic left-right political divisions, and apparent Russian involvement in helping them along have thrown into question assumptions that have prevailed for a generation or more. We see Inroads as a place where readers can turn for insightful analysis of world-changing developments of this kind. 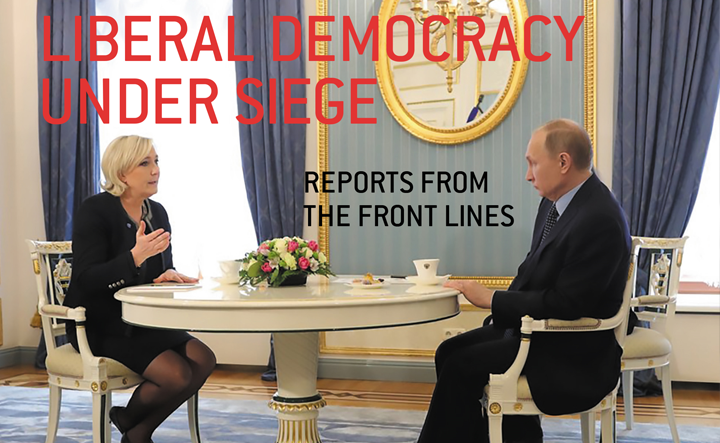 While we have been examining the populist challenge for the last year or so, we offer our most sustained and systematic coverage in this issue, with a particular focus on the role of Russia. While the election of Donald Trump as President of the United States and the tumultuous early months of his administration have occupied a disproportionate amount of media space, perhaps the most significant developments in the populist-versus-mainstream struggle have been taking place in Europe, and our theme section devotes most of its attention to that continent. Henry Milner and John Erik Fossum provide an overview. Milner takes a wide-ranging look at the erosion of democracy, while Fossum analyzes the nature of populism and its ambivalent relationship with the European Union. Five articles look at the varying ways in which these dynamics are playing out in different parts of Europe. Philipp Harfst acknowledges Germany’s apparent stability, but notes that the populist Alternative for Germany has gained representation in a series of regional elections. John Richards is only mildly comforted by Emmanuel Macron’s presidential victory in France, and looks ahead to Britain’s June election. He describes political institutions in both countries as being in “disarray.” Filip Kostelka and Eva Krejčová report on the methods Russia is using to reestablish its influence in its former empire, Central and Eastern Europe. Giorgio Malet provides background to Italy’s two “electoral earthquakes” of 1994 and 2013. Paul Lucardie explains why if the Dutch election of March 15 wasn’t a victory for Geert Wilders’s populist Freedom Party, it wasn’t exactly a defeat either. Although Europe is our main focus, we don’t ignore the United States. Ronald Beiner searches for the core of “Bannonism,” which may well survive as a movement regardless of whether chief strategist Steve Bannon remains in favour in the White House. Gareth Morley examines the significance of Trump’s appointment of Neil Gorsuch to the Supreme Court. Trump and his context are also the subject of two political columns. Reg Whitaker is concerned about the loss of democratic trust and the possibility of authoritarian rule. Garth Stevenson finds in Trump echoes of earlier populists like William Jennings Bryan and Huey Long, and even such mainstream figures as John F. Kennedy and Lyndon Johnson. Turkey is another country where democracy has been subject to increasing authoritarian pressures, and we are fortunate to have the distinguished Turkish political scientist Ilter Turan provide background to the April 16 referendum in which President Recep Tayyip Erdoğan narrowly won his bid for increased powers. Canada has been essentially a bystander in these developments. But two Canadian issues examined here show that Canada is not isolated from what is happening in the rest of the world. In a follow-up to his analysis of Vancouver’s housing bubble a year ago, Josh Gordon looks at both Vancouver and Toronto and notes the “toxic” social effects of unaffordable housing, which has its roots in capital flight from China. He proposes a remedy, one that found its way into the recent bc election campaign. * While finding that, overall, Canadian schools are doing well at integrating immigrants, John Richards also identifies trends that raise doubts about whether this success can continue. * Mathieu Wade finds that while New Brunswick is a bilingual province, New Brunswickers have not succeeded in becoming a bilingual people. * In an interview with Gareth Morley, Craig Jones of the National Organization for the Reform of Marijuana Laws expresses qualified approval of Ottawa’s proposed legislation legalizing cannabis. * As we mark the 100th anniversary of the Battle of Vimy Ridge, I review a book that is highly critical of the notion that Vimy marked the birth of the Canadian nation.